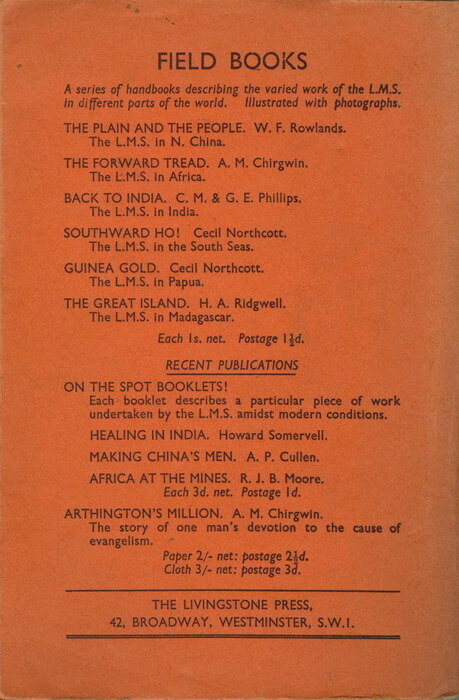 The Livingstone Press (LMS) (1937). 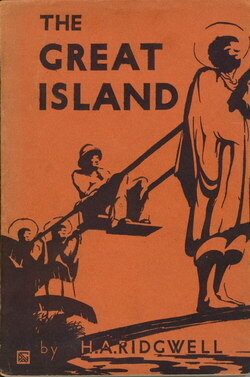 The opening chapters of this book gives a general overview and brief history of Madagascar. 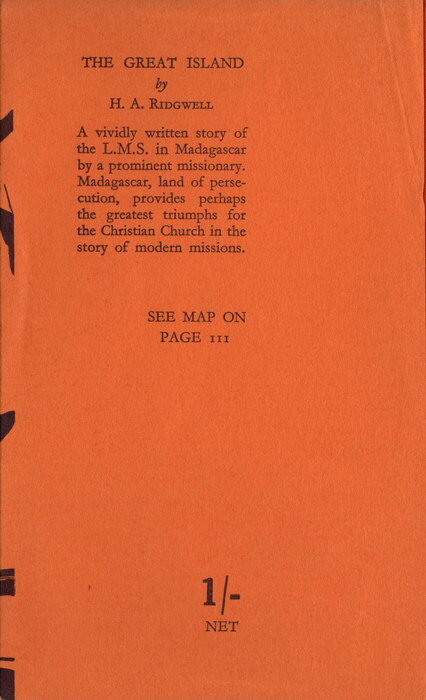 For the most part it focuses on the Church in Madagascar, and in particular the activities of LMS missionaries. 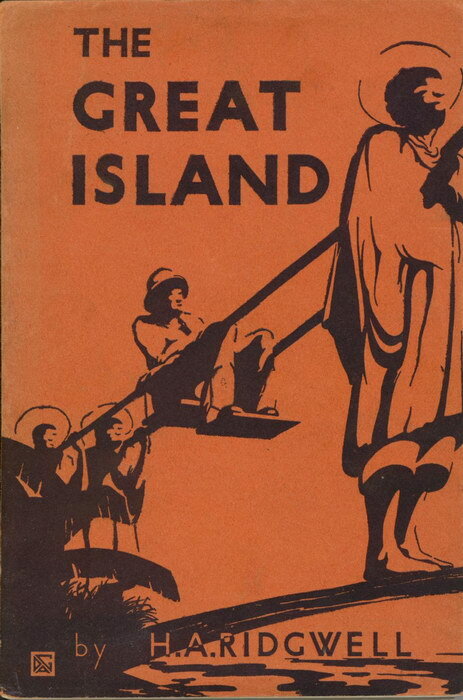 The Great Island by H. A. Ridgwell: A vividly written story of the L.M.S. 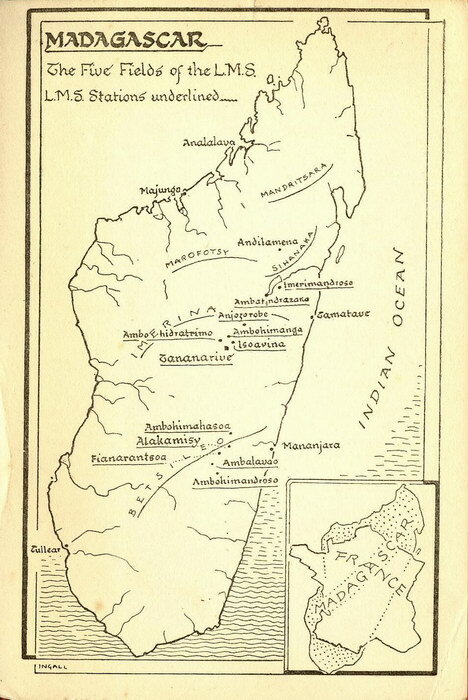 in Madagascar by a prominent missionary. Madagascar, land of persecution, provides perhaps the greatest triumphs for the Christian Church in the history of modern missions. 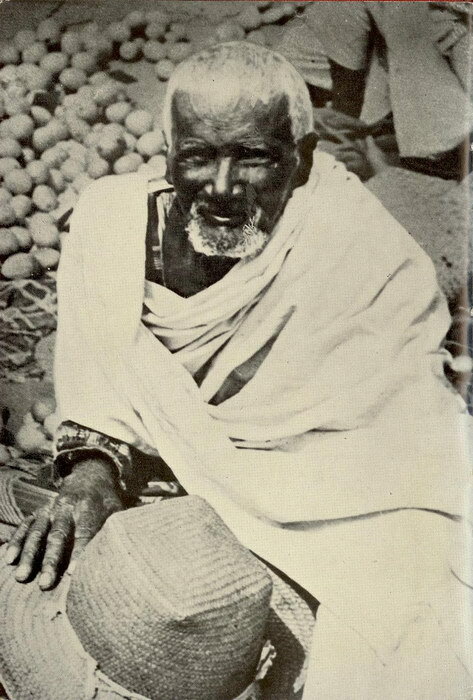 Chapter VI: The Five Fields of the L.M.S. 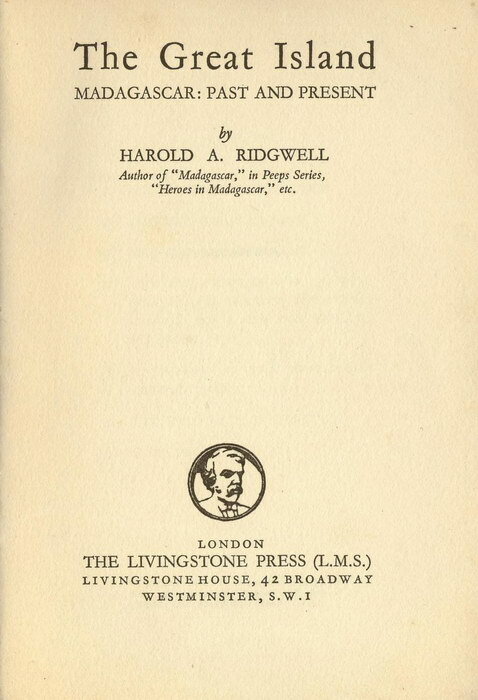 Printed by Ebenezer Baylis and Son, Ltd, The Trinity Press, Great Britain. Very Good. Spine slightly faded.